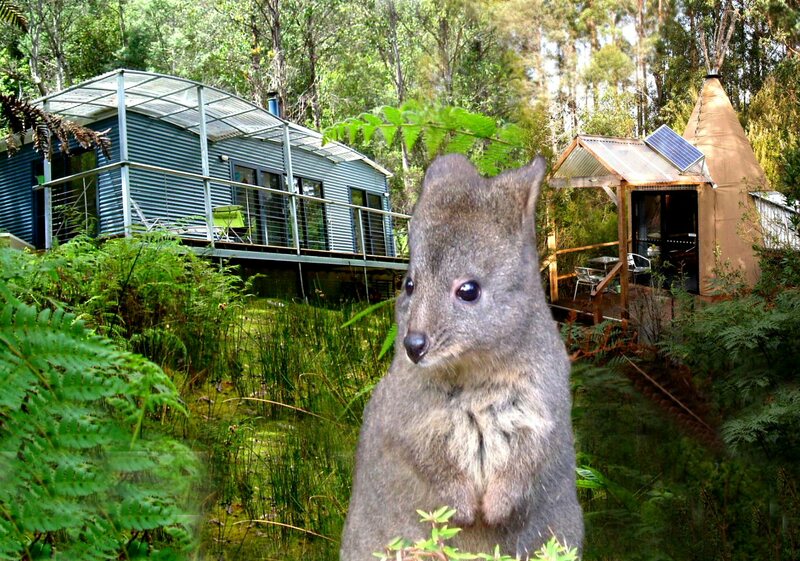 Cabins, tipees, camping and bushwalks in extensive private nature reserve just 50 minutes’ south of Hobart and 12 minutes from Huonville. 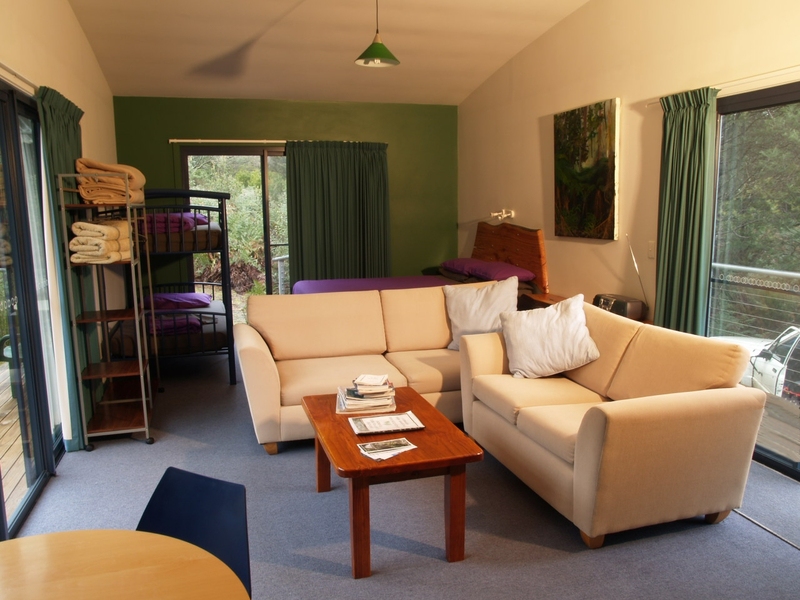 A perfect base to explore Tasmania’s Huon Valley. 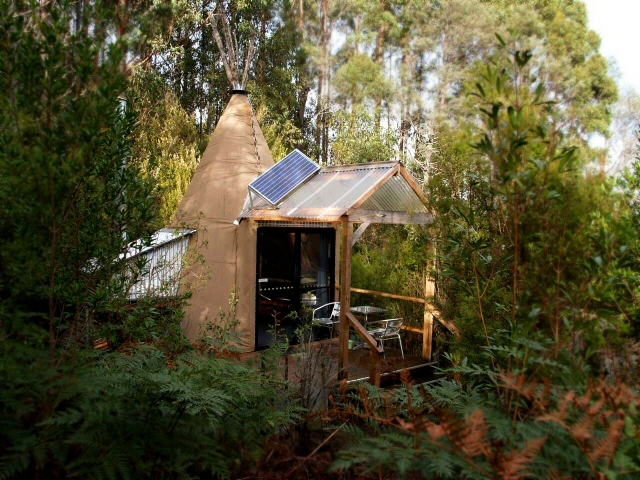 We offer a true retreat in a peaceful and secluded environment with accommodation for couples and families, including self-contained studio and two bedroom cabins, tipees and campgrounds, a 5km bush walking track network, an abundance of wildlife on your doorstep and a sample of the fine food and wine of the Huon Trail region. 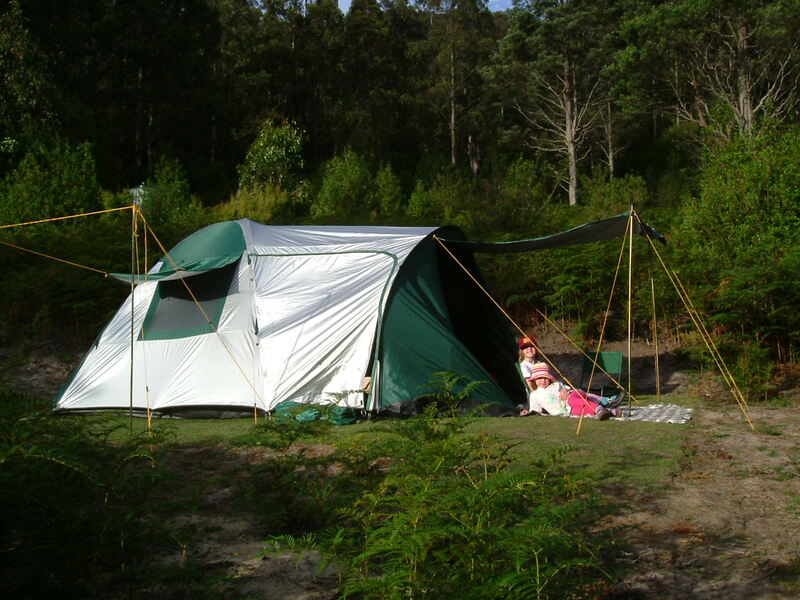 You will be surrounded by wildlife of all sorts, including birds, mammals, arthropods and reptiles. 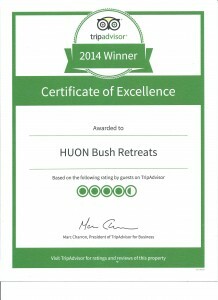 Huon Bush Retreats is a multi award winning, carbon positive retreat offering guests a choice of contemporary, self contained cabins, deluxe tipees and private campsites against an inspiring backdrop of Tasmanian native forest. 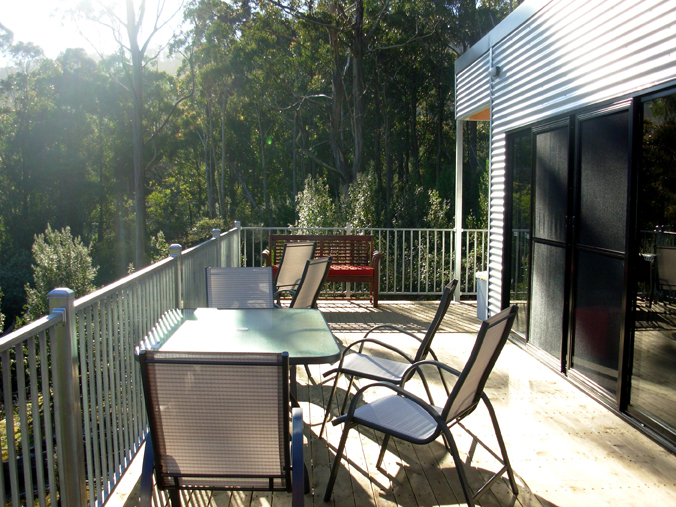 Relax by the fire with a glass of local wine or take in the view from the deck surrounded by native birds and wildlife. With easy access to 5km of interpreted walking tracks through rainforest, to a hidden waterfall or a mountaintop, you will not miss internet or television here. 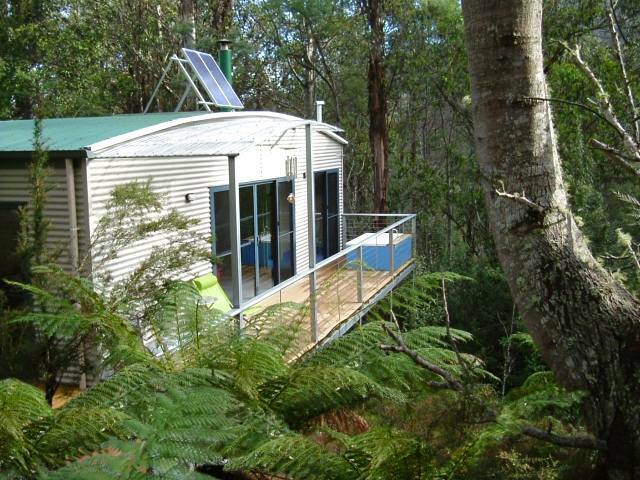 Your cabin is comfortably catered for with gas cooking facilities, fresh rainwater, solar powered lights, an eco-friendly composting toilet, a cosy wood heater and a private outdoor bath. The Huon Valley is home to cool-climate vineyards and is famous for it’s apple-growing heritage. 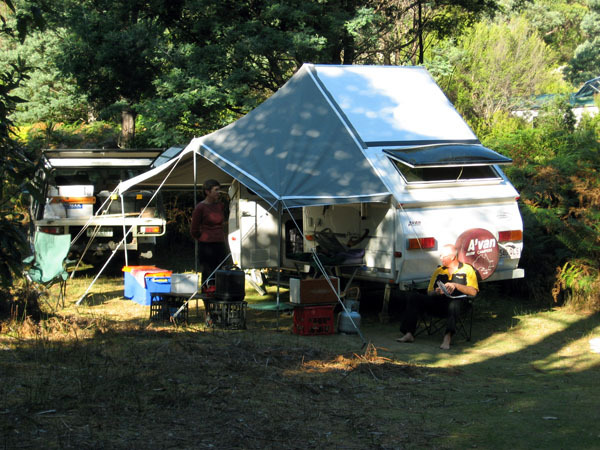 Discover high quality local produce with an innovative and seasonal Huon Food Trail itinerary. For special events, ask our chef Michael, to create a delicious meal using local and organic ingredients. Two Queen beds and a set of bunks. 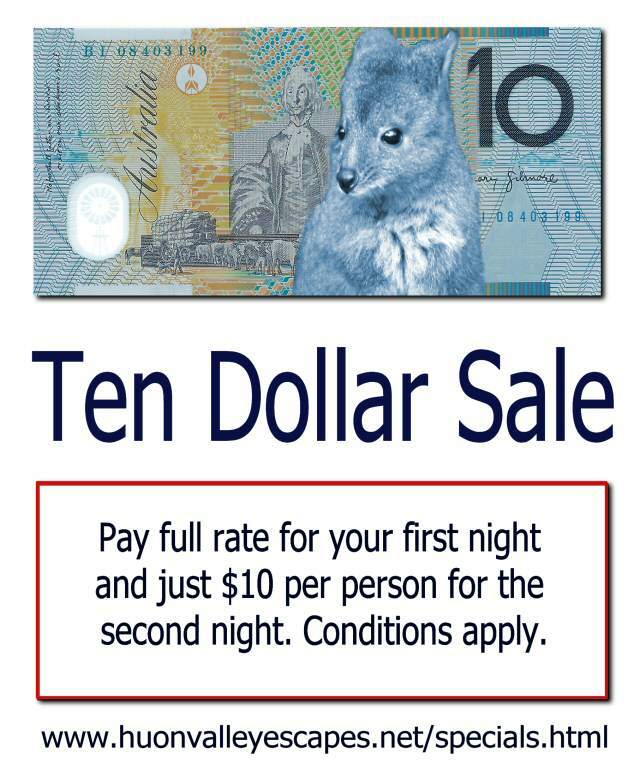 Accommodation, activities and car hire Hobart and south. Ask us to arrange an entire itinerary including car hire, activities and accommodation throughout Hobart and the Huon Trail. 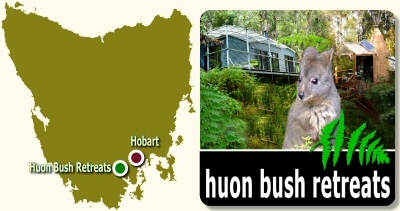 Huon Valley Escapes offers a range of accommodation and attractions from Hobart to Far South Tasmania.